The Bradshaw Group Ltd. recently announced plans for Bluffton Self Storage, to be located at 12 Oliver Court, just off the Bluffton Parkway. Approval was recently granted by the Town of Bluffton. 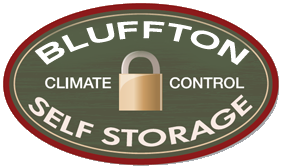 Bluffton Self Storage, when fully built, will become the largest self storage facility in Beaufort County. Plans to initiate Phase I construction are set for early 2015 on the 4.16 commercial acre site. The first phase will include the self storage facility office and both standard (17,500 sq/ft) and climatized (14,350 sq/ft) mini-storage. The facility will also provide outside parking for RVs, boats, trailers, trucks & cars. Total build-out will total 76,800 sq/ft, which will consist of 28,300 sq/ft of standard storage and 48,500 sq/ft of climatized space. This will include a two-story climatized building with an abundance of outside parking and truck loading bays, expanded state-of-the-art security systems and covered RV/Boat parking spots that will have access to electricity and water. Bluffton Self Storage is being developed by Evans and Bradshaw LLC, an affiliate of Hilton Head based Bradshaw Group Ltd.